Tiffany, or better known as her YouTube name, "MakeupbyTiffanyD," is a 27-year-old beauty guru, blogger and self-taught makeup artist from Atlanta, Georgia. Her style can be characterized as classic and glamorous, however, she says she is definitely not trendy for the sake of being trendy. Tiffany has been referred to as one of the most relate-able gurus in the YouTube beauty community. She prides herself on creating videos and sharing beauty advice for a wide range of women; young teens to those in their 50s and beyond. "Applying makeup a certain way or having particular features doesn’t make you beautiful. True, memorable beauty comes from being genuine, happy, confident, and presenting yourself in a way that makes you, you." Tiffany has been fortunate enough to travel overseas and all over the United States working with many of the beauty companies she has admired for years. Her most memorable experience was her photo shoot at the Eiffel Tower in Paris for the Paris Makeup Palette project with Sigma Beauty. Tiffany: The experience itself. Being able to travel somewhere I always dreamed of going and leaving the city knowing we had been inspired to create something we can always keep to remind us of the experience. Tiffany: Just the feeling of being there and seeing things that had so much history. Famous places I had seen in movies and learned about all my life were around every corner. The feeling that every place and every building had a story and meant something. It was incredibly beautiful and such an indescribable feeling. Tiffany: That several individuals can come together with different styles and gather inspiration from one city to create something that naturally "works". I was amazed at how although we all had our own eye shadow colors that were very independently created with our own personal preferences, they all formed such a beautiful final product that really made sense when it all came together in the end. On the other hand, where the face colors were concerned, we were all very hands-on in creating that together. Seeing all of our preferences and opinions directly reflected in the final product of those shades was great. 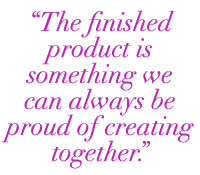 The finished product is something we can always be proud of creating together. Sigma Beauty: What was it like to learn about the process of how a makeup palette and eye shadow colors are created? Tiffany: I knew it was hard work where the actual production was concerned, but actually seeing what it's like to make the final decisions and make changes to samples until everything was perfect was really fun. It's exciting to see my actual shade come to life and to see everyone's ideas we discussed come to life as actual eye shadows of the exact shade we each dreamed up in the final product. Tiffany: My shade is so dramatic yet versatile. I love that there are endless ways to create looks with it. However, my favorite way to w ear it is what I describe as a "Parisian smokey eye," using the shade to create lots of drama around the eye for a really classic yet fun look. You can read more about Tiffany here! Love Tiffany! I ordered my palette as soon as I got just a glimpse of it in her video then went back to watch the rest! I was afraid I'd lose out if I didn't order right away! Lol I may even order another! I'm afraid this is goig to be a huge success and hope you will make it a permanent palette! I love her! She is really good at what she does! 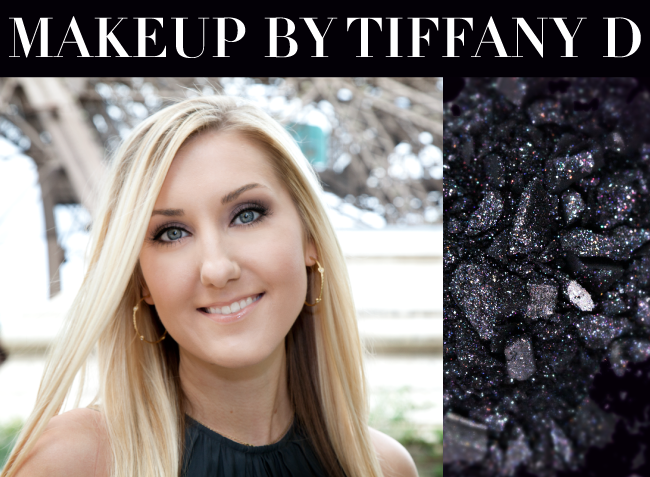 Tiffany is great, her tutorials are always helpful as well as her recommendations. Go Tiffany! She has the best technique and gives tips on YT! is there going to be blog about paris project: leesha? leesha is my favorite of all time. i like tiffany too she has pretty smile and lips. this would be fun to see leesha's profile and her bio like tiffany's. i love sigma so much for these so i'm happy with that. Yes, each guru will have their bio featured on blog! :) Leesha's will be up on June 4. Tiffany is AMAZING! I ordered the palette right away while listening to her video in the back ground. ALL the colors are amazing! Check out my videos and website! The pallet is gorgeous! I knew it would be! Very pretty and feminit. My daughter adores the makeup girls, especially Leesha, and she will simply love this pallet! She loves makeup and dreams of being a famous makeup artist one day. Great job Tiffany, keep it up.I have been subbed to her for ages. She is great. Hello, I am Deltrice. This was a beautiful article about Tiffany. I am 68 years young and thoroughly enjoy watching this beautiful young woman. She has taught me many things about makeup that I have taught to my grand-daughters. I once even went to a plastic surgeon for a consultation on how to get Tiffany's beautiful lips, and he told me, unfortunately, they are just naturally beautiful! I believe we are kindred spirits, she and I. She has an old soul. I will be purchasing this palette for myself and my 6 grand and great-grand-daughters when my social security check arrives. Beautiful, thank you for posting this pretty woman. Deltrice, I also went to a plastic surgeon's office for a consult and I brought a picture of Tiffany to reference. I would die to be a pretty lady and have her puckered lips and hill-like nose. Such beautiful and graceful features. She is one of my favorite beauty guru's and I always turn to her for the best deals at Sephora, Target and to see what Chick-fil-a has to offer. She always knows the latest fashions like coral skinny tight jeans. She truly is an inspiration and her dog Waylon is so cute!! TiffanyD's videos are definite must watch! The palette looks amazing! I can`t wait for my palette arrive. I`ve just ordered one. I hope there will be more projects like this one in the future. I LOVE that pallet but I don't want to pay $60 for it lol. Could you send it to me for free for review? I will tell my swamp family (subs) all about it! We're glad you like the palette but unfortunately we do not send out free products. To save money, you can use the $10 off coupon code that is valid right now. This was a great interview, i'm loving this blog already! when will petrilude be up here? or is he already on the blog? tiffanyd is a awesome guru & i love the pallet its so awesome. so thats good! she seems so sweet & shes super pretty i love it! Like many others- I had to buy this too and recreate the look. Thanks! I love TiffanyD! When will xteeener be featured? She's the best! Thank you! I am so excited to get my palette soon. I ordered it the minute I saw Tiffany's video. I think all the colors are just stunning. The blue ones are definitely out of my comfort zone, but it's never too late to try new looks. I can't wait to get it!!! i saw the palette and loved it but after i watched her video i was sold. i can already tell from watching a few videos that she's going to be my favorite guru on youtube. i can't wait to order this palette and try it out. I can't remember where I heard about it first; I think it was when Tiffany was just saying generally she was working on a project w/ Sigma and other YouTube makeup Guru's... But as soon as I saw the email about it from Sigma, I ran to YouTube to see what Tiffany had to say about it... LOL Then I made my purchase as her video was playing... (afraid it might sell out!) when i get it if I LOVE it the way I think I will, I may order a backup if they are still in stock :) I love Tiffany and she is where I learned about Sigma in the first place! I had a bad experience with the customer service though with my first purchase, but after a while I decided to give it one more chance since the products were good; and thank God the 2nd and 3rd and etc... purchases have been smoother and haven't had to contact them... So overall I am quite satisfied with the products, obviously cause I keep coming back :) So im giving Sigma the benefit of the doubt and gonna call the bad experience/first impression a fluke... So Thanks Sigma for quality and wonderful products, please keep them coming :) As I am now addicted! And thanks Tiffany for being you! I got my palette today and I can honestly say it's even better than I expected. I wasn't really excited for the blushes, but as it turns out, they are both really wearable shades and the highlighter is gorgeous!!! The eye shadows are really beautiful and I don't have any other colors like them so I am really happy with them. Plus you get two really great brushes AND a free gift....amazing! Great job sigma!!!! I will be back. I've been inspired by Tiffany so much over the last few months. I've completely changed the way I do my makeup and have purchased lots of new items based on her recommendations. She has made such a difference to my beauty regime. People have started to notice and say how good I look. Thank you Tiffany. Loved ur review so much I just had to buy 2 palettes one for me and one for my sister!!!! The moment I saw her video I knew I had to buy it, her tutorial was the best one so far. It was my first online purchase ever since I live in Brasil and things here tend to be a little hard to be bought! From the comments I`ve seen here I know I will love it! I have to say I love sigma and tiffanyd is my favorite beauty blogger. I don't usually buy limited edition makeup because when you run out then there's no way to get a refill, so I usually avoid limited edition but I made an exception because I love sigma and the colors in the palette looked amazing especially the color 'Louvre' ... I was however disappointed that the Eiffel shade is exactly the same as the shade 'shine' from the sigma bare palette. They look a little different when swatched, one has more of a deep blue tone and the other a black tone but once you apply it, they are exactly the same. I actually commented this in Tiffany's video but my comment was removed without a response :( that was also disppointing.